Considering today’s asking prices for the 1968–1976 Ferraris branded as Dinos (think Rolex and Tudor) it seems hard to imagine that there was a time when this little car couldn’t get any respect. Do you shelve the Dino books in your library under D or Fe or Fi? The answer will depend on which sort of Dino you’re interested in. Four series of road cars were powered by a motor bearing that name and several entirely different types of cars bore it, and at one point it was used as a marque not a model name. 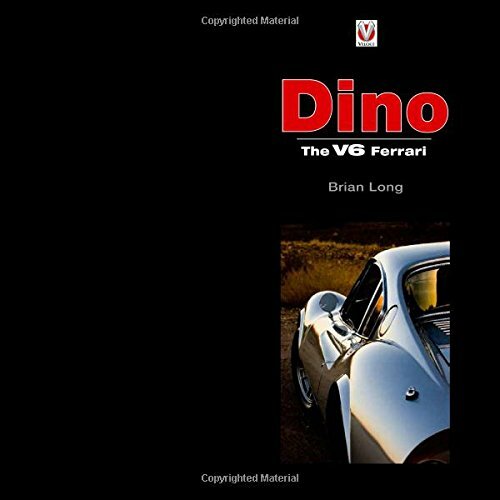 It’s been a while since there has been a book-length, solid treatment of all the Dinos and while this book is in every regard solid it struggles to better Doug Nye’s Dino, the Little Ferrari (1979, 2004) except in imagery and, well, availability. 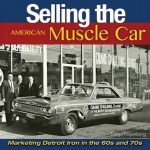 With over 60 automotive books and an engineering background under his belt, Brian Long is no stranger to the art and science of putting a proper book together. 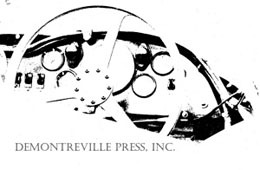 Any book that has his name on it, especially for this publisher, can be expected to add to the record something few others do: period advertising material, especially from Japan where Long has been living for a long time. 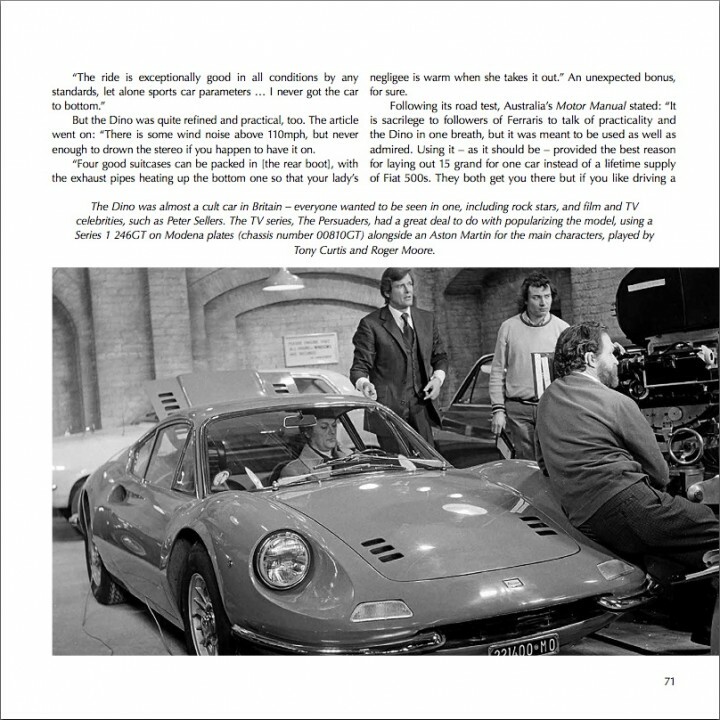 This is his first Ferrari book—incidentally an odd resemblance to Nye who prefaced his Dino book (which, peculiarly, gives an earlier date for the death of Enzo and his first wife’s son, “Alfredino” after whom all Ferrari V6s and later also V8s are named) by saying how little interested he was in taking on the project until he considered the bigger picture in the form of the competition cars that predate the cover car, the model that these days is on every auction-watcher’s mind, by years. 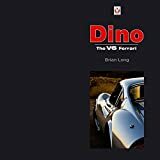 Long does cover all the machinery with a Dino name on it, but the focus is on the road-going models (some reference to competition cars, also the Lancia Stratos), which is a roundabout way of saying that 176 pages can cover only so much. In typical Long manner it includes buying and ownership pointers as well as excerpts of road tests and other such period material. 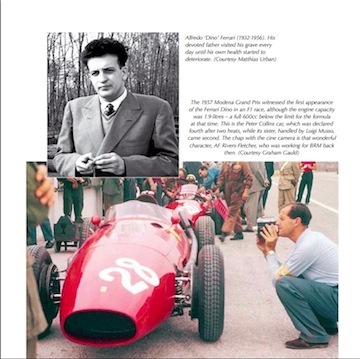 Probably with the newcomer to the marque or model in mind, Long also devotes a few pages to general Ferrari history and briefly, too briefly, touches upon Alfredo Ferrari’s role in the V6 project for the 1955 F2 season. 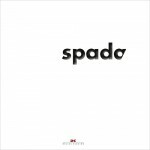 Trained as an economist he did switch to mechanical engineering for only two years before his then undiagnosed illness forced his early return to a short career at Ferrari where Enzo groomed him as his successor. While the Fiat version and the reason for its existence in the first place is introduced early on, references to it occur throughout (the Index is of little help here). Several exploded tech illustrations show individual (numbered) parts but have no corresponding legends. 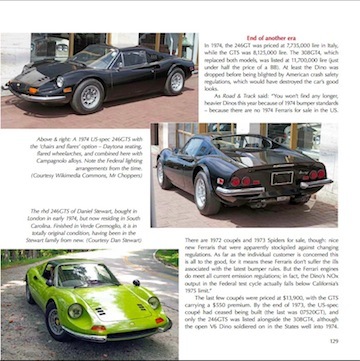 Several pages of 1970s GT brochures are reproduced, in, or including English; an engine/gearbox cutaway of the 2.4L Fiat version has a legend only in Italian. Appended are specs and chassis/production numbers for 206 and 246 cars. Another common feature in Long’s books, and evident here too, is that modifications specific to different world markets are covered (as are prices). To that end, a fair number of non-period photos are used, presumably supplied by the owners and therefore of varying quality. 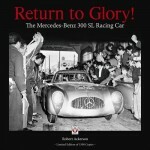 A look at the Acknowledgements shows many recognizable names. If only the book jacket hadn’t called the book “THE definitive record” we wouldn’t have to say that it is a fundamental, reliable overview and as such absolutely has a place. 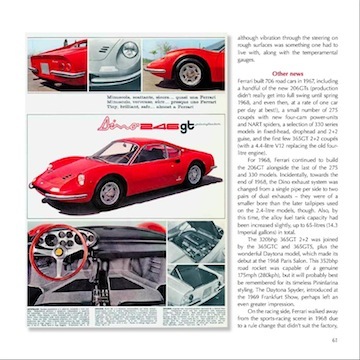 If it’s only the road cars you’re interested in—and have €160 to spare for a most beautiful book—Matthias Bartz’s self-published 2011 Dino Compendium – Ferrari Dino 206 GT / 246 GT / 246 GTS (ISBN 978-3981435115) is the one to look for.